Flims, when partnered with neighbours Laax and Falera, forms the Weisse Arena ski area, which has around 220kms worth of fairly high-altitude slopes and runs and something to offer everyone, from those learning to ski to world class snowboarders. A few years ago our Guru’s list of the best places to stay in Films would have included mostly traditional alpine hotels and lodges, however today’s list of the best places to stay in Flims also includes some new modern design hotels and wellness centres, reflecting the changing use, but continued popularity of this relatively snow-sure resort. Flims still has a village-y feel - most of the traditional chalets are on the main street helping to create this impression, or in their own expansive grounds, while the more modern hotels are just out of town further up the slopes. At the moment there are no package tour operators using Flims, and the main guests are from nearby Zurich or from Germany. It’s a fairly small town and most of the restaurants are hotels are within walking distance of the lift hub, but there’s also a relatively good free ski-bus service. Most of the runs are red and blue, but there are some pretty spectacular glacial runs, including a 17kms run which starts at the top of the Vorab glacier and ends in Flims. There’s also plenty of off-piste skiing in the forests above Laax. In summer Flims is a great destination for hikers, bikers and climbers. You can also swim in the glacial lakes. Use our guide to the best places to stay in Flims and start to plan your visit. 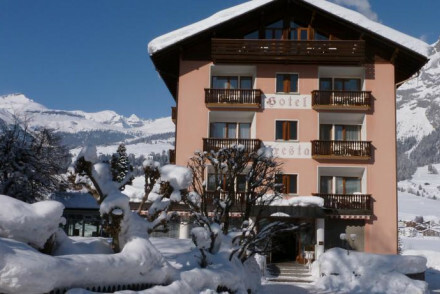 The 50 room HoteL Cresta is a luxurious lodge overlooking Flims from the slopes. The decor is very pine-clad and chintz, and there’s an excellent contemporary restaurant inspired by regional dishes. And a wonderful terrace with amazing views. 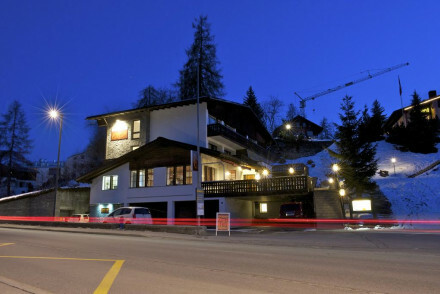 The Hotel Chesa is a comfortable, traditional hotel with wonderful views of the Glarus Thrust. There are just eight rooms, with large windows and parquet flooring, plus a cosy restaurant specialising in regional cuisine. The Hotel Schweizerhof is a grand Belle Époque affair with spectacular alpine views and stylish, elegant rooms which have been thoughtfully furnished. There are 48 rooms, and the best are those with balconies overlooking the mountains. There’s also an indoor pool, a spa, and a fantastic restaurant. Fidazerhof is an Ayurvedic wellness hotel set on the peaceful slopes above Flims. The contemporary decor is elegant and there are 12 rooms with balconies and lovely mountain views. There’s also a fantastic restaurant and of course a fun range of treatments in the spa and steam baths. 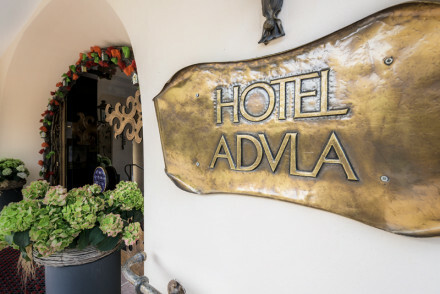 A few kms out of town in the little village of Trin, you'll find Casa Alva, a charming restaurant with six rooms. The accommodation is alpine in style with larch panelled walls and wooden furnishings. But the real star of the show is the fabulous gourmet restauant and the wine list is pretty good too! Still not sure which is the best place to stay in Films for you? A comfortable hotel with gorgeous views of UNESCO protected Glarus Thrust. The traditional pine clad rooms feature crisp white linen, parquet flooring and expansive views. A cosy restaurant serves up regional cuisine. Easy access to the slopes make it a laid-back base for alpine family-holidays. Active Holiday - An excellent base for skiing, cycling, climbing and hiking enthusiasts with easy access and cosy rooms to recharge each night. Great walks - Take a stroll around the scenic Lake Cauma. 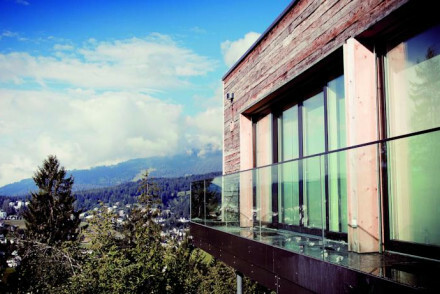 A luxury lodge sitting pretty over Flims. Individually styled rooms feature pine clad walls, chintz fabrics and indulgent modern bathrooms. Feast on exemplary contemporary cuisine inspired by regional dishes. A large terrace, ideal for enjoying a drink along with the breathtaking views. Alpine chic. Active Holiday - With access to the Alps on your doorstep outdoor adventurers will be spoilt for choice. Sights nearby - Visit the Rhine gorge Ruinaulta, known as the Swiss Grand Canyon. A luxury hotel close to the slopes with distinctive contemporary architecture, its large windows flood the interiors with light. Inside, the interiors are nothing if not exuberant with statement fittings and quirky art. Expect cosy, yet plush, rooms and prepare to be wowed by the cuisine! A charming property in the quiet town of Trin. Traditional alpine rooms feature pine clad walls and wooden furniture. Large French doors lead onto private terraces. The gourmet restaurant and excellent wine list makes this a particularly stand-out spot. A short drive from Film ski resort. Skiing - Film is a charming resort void of endless tourists usually associated with ski areas. 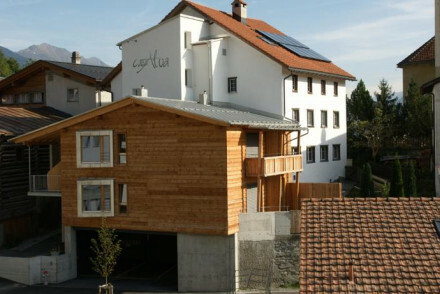 It also has an inconnecting lift to Laax. Active Holiday - Just 7km from Film ski resort plus many other alpine activities in the area. 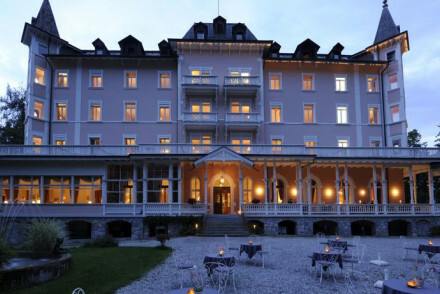 This stunning Belle Époque hotel offers wonderful views of the Swiss Alps. The suave and stylish rooms are thoughtfully furnished, and the best offer balconies overlooking the mountains. With a fantastic restaurant, an indoor pool and a spa it's perfect for a romantic retreat! Romantic Break - Gorgeous views, peaceful countryside, a spa/sauna and excellent food at the restaurant-perfect for a spot of romance. Active Holiday - Explore the nearby hiking trails, go swimming in Lake Cauma or take advantage of Flims's 146 miles of ski slopes! Back to Nature - Situated in a beautiful mountainous Alpine setting next to the Flims Waldhaus Forest. Great walks - There are countless local Alpine hikes to be discovered! 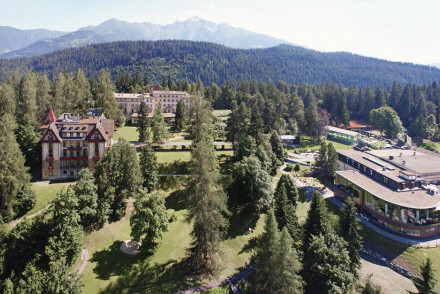 An Ayurvedic wellness hotel, set on the tranquil slopes of Flims-Fidaz. Large elegantly furnished contemporary style rooms with balconies and lovely mountain views. The fantastic restaurant and spoiling wine cellar guarantee a good time. Total relaxation - A hotel completely committed to relaxation and wellness, make the most of the Ayurvedic massage treatments, spa and steam baths. Back to Nature - Admire the striking mountain backdrop from room balconies or terraces. Sights nearby - Anyone interested in geography must visit the Sardona Tectonic Arena, a UNESO world heritage site. Great walks - Submerge yourself in nature and hike to the natural pools and lakes nearby. Popular hotel at the foot of the slopes. Alpine-style guest rooms are filled with modern furniture. Indoor pool, herbal sauna, steam rooms and spa treatments. Two restaurants offering regional Swiss menus. A delightful stay in winter and summer with plenty to do nearby. 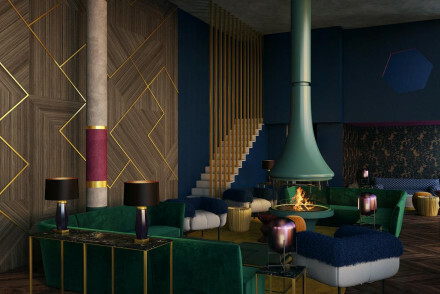 A £33 million renovation has restored this five-star hotel to its Belle Époque glory, offering plush modern rooms, attentive service, four on-site restaurants and a state-of-the-art spa. With jaw-dropping views from every window, it’s an oasis of beauty and discreet style. Skiing - Explore 235 km of world-class groomed ski trails in Graubünden’s largest interconnected ski area, Flims Laax. Spa breaks - The spa is a destination in itself spread through a series of stone and Perspex cubes. Back to Nature - A magical spot surrounded by jutting mountain peaks and thick pine forests.